The bangs are a great excuse for not being able to study. O-oh, say can you see my eyes, if you can, then my hair's too short! I'm not one to care too much about looks. Sure, I did ballroom for many years and spent up to an hour in front of the mirror with my hair dryer and a bottle of hairspray trying to make sure every shaft of hair was staying in place. Lately, I've been going for the longer look. I never did grow my hair out like my older brother who was a rock star. Well, ok, there was that one time when I was in elementary school that the neighborhood barber convinced us to get a style he called "the GQ". Hmm... Was he just trying to get a good laugh? Big brother Eric. What inspirational hair. It's called a GQ, not a mullet. No, really, I'm telling you… It is not a mullet! That barber made up for it though, when he left this awesome picture of us up in the shop for most of our teenage lives. 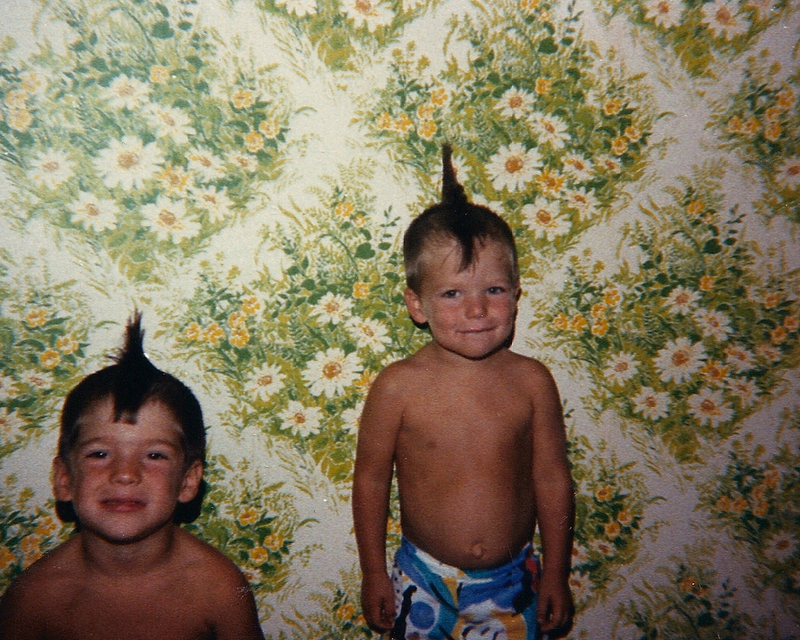 Me & my little bro, Andy, sporting the mohawks. 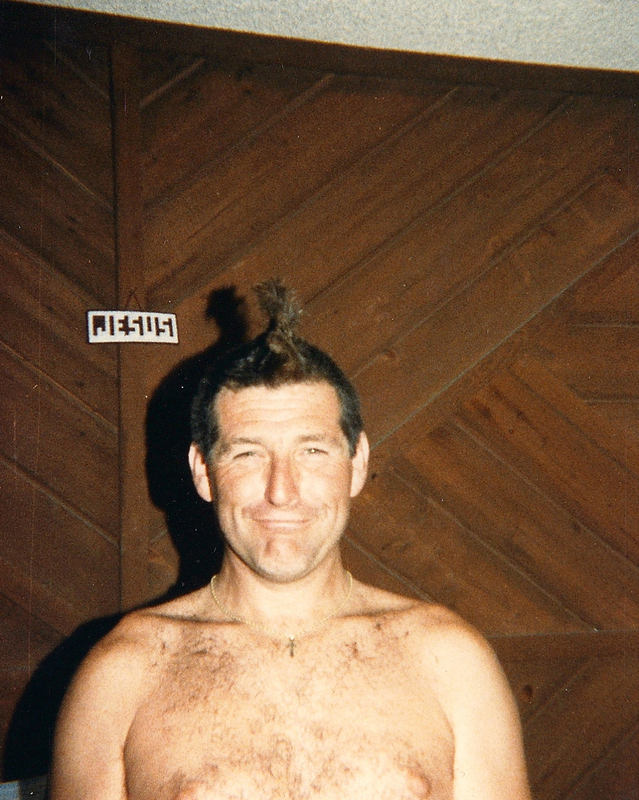 We were inspired by my dad, who surprised us - as he often did - with an unusual do. Seriously, though. 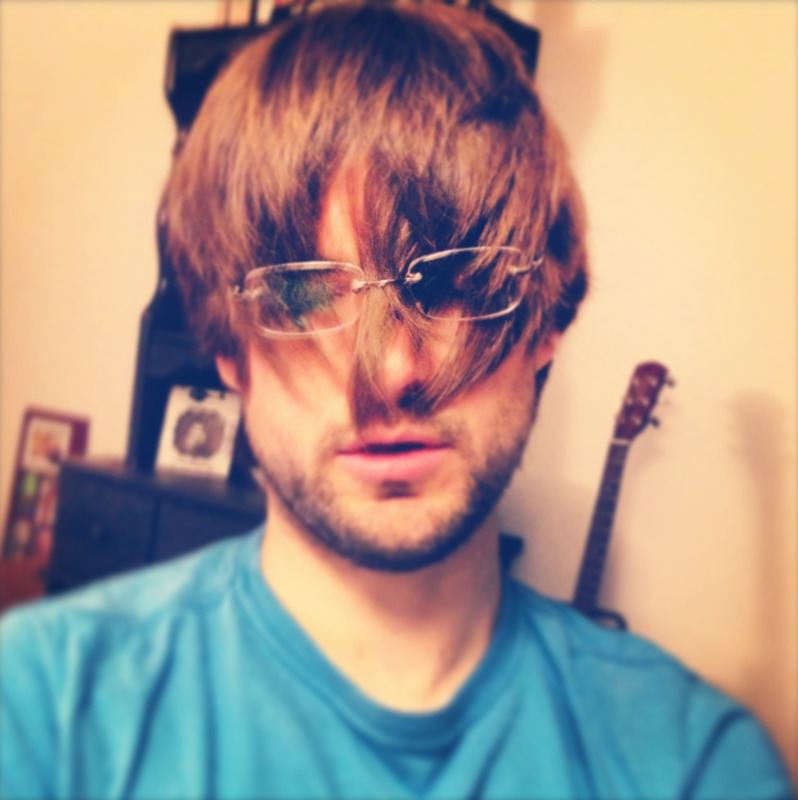 I'm not interested in the rocker look, and I really don't want the shaggy, unkept look either. I was hoping to get it just long enough so that it would stay behind my ears, blow in the wind, and sway in the breeze as I run through the mountains. And when I got bored of it, maybe I could donate it to Locks of Love. I was going for something a little more … suave. Definitely not Fábio (I don't have the upper body strength), but maybe Sawyer from Lost. Or even better, the director of the Virtual Choir - Eric Whitacre. He's got some style! Oh, crap… What's going on here? I've resorted to posting pictures of male celebrities to my web page. I really need to go on a date. I can't decide what to do with my hair. I've wanted to grow it out for so long, but now I'm growing impatient. It gets in my eyes and I've had to wear a hat almost everyday. I hate hats. So I'm gonna leave it up to you. Here's a quick survey to help me decide whether to keep trying to grow it out, cut it off, or something in between.